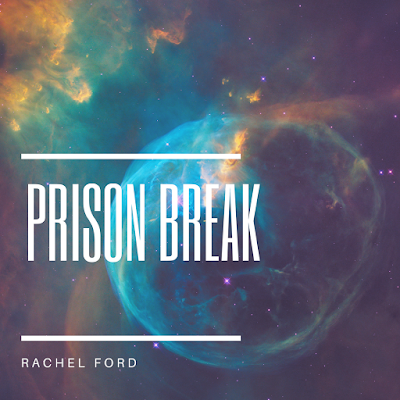 This blog post is devoted to exploring 'changing tides' facing the characters of Prison Break and the Unholy Trinity series. What "changing tides"? There are a lot of different forces in the Unholy Trinity series exerting various pulls on the protagonists and other characters. And, of course, there's the ups and downs of life, the "wheel of fortune", that we all experience. But these are exacerbated by the structure of the world, and the extremes that dominate it: extreme wealth and poverty, extreme privilege and want, extreme "justice" and exceptions. When society is so stratified, the ups are much higher and the downs much lower. 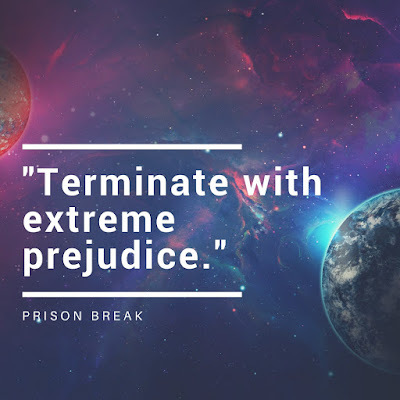 As Prison Break and later Judas Kiss tell the stories of people far nearer the bottom of society's pecking order than the top, the downs are pretty low. How low? Imprisonment and death sentence low, for starters. Discuss the story: what is the Unholy Trinity? What is the Unholy Trinity? A powerful conglomerate of the three prominent branches of belief, and the myriad subdivisions within each branch - monotheists, polytheists and technotheists (more on them in another post). This union is state sanctioned, and in turn exercises considerable control over the state. This particular confederation, sans any separation between church and state, proves dangerous - deadly - for those whose beliefs fall outside the mainstream, approved systems. 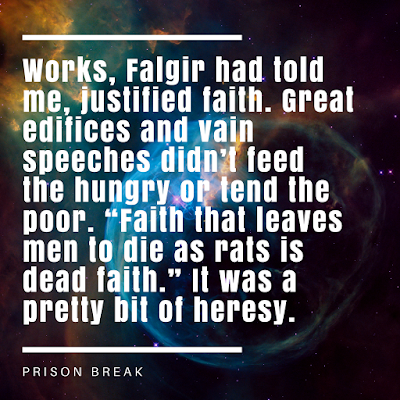 It is the primary source of conflict in Prison Break, necessitating the titular event, and will resurface in the next book, Judas Kiss(in progress) as well. The trinity's ability to function is driven by its cooperation, but its power - and danger - comes from its influence over government. 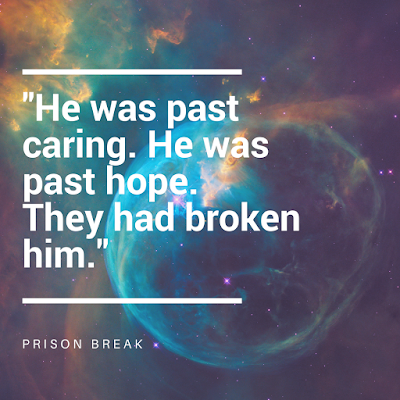 #AmazonGiveaway - enter to win a free copy of Prison Break! Click here to try your luck - and may the odds be ever in your favor! 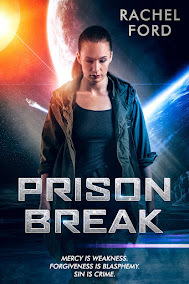 Which is to say, Prison Break is live and available for order on Amazon.com. 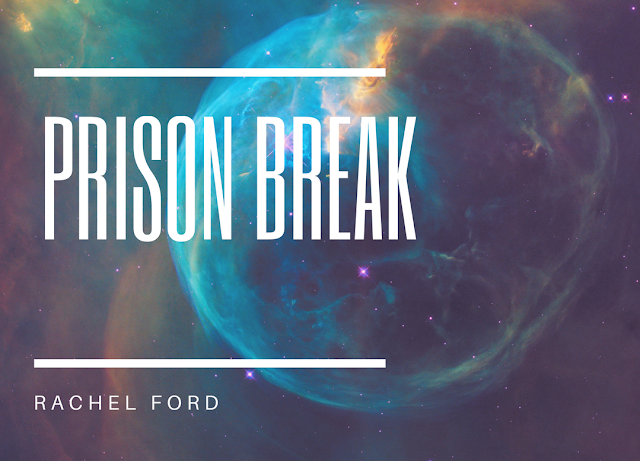 This blog post is devoted to exploring one of the key themes of Prison Break and the Unholy Trinity series: interfaith cooperation, especially among the marginalized. 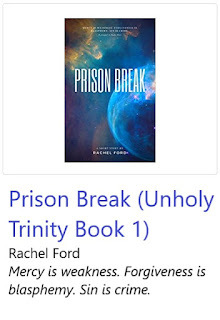 How does interfaith friendship impact Prison Break, or the Unholy Trinity series? 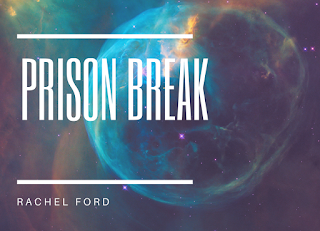 Interfaith cooperation and friendship is really the backbone of Prison Break and the series. Without delving too deeply into the world (that's another post), the series takes place in a universe of limited and strictly sanctioned intellectual diversity -- and it's dangerous to hold beliefs that fall outside of that spectrum. One of Prison Break's protagonists is non-religious (Agata) and the other is a priest (Father Edlin). Both hold beliefs that are decidedly outside the mainstream, but it's Father Edlin whose beliefs actually land him in trouble. As promised, dear readers (all 15 of you! 😁 ), a special announcement about an upcoming release! Available April 10th. 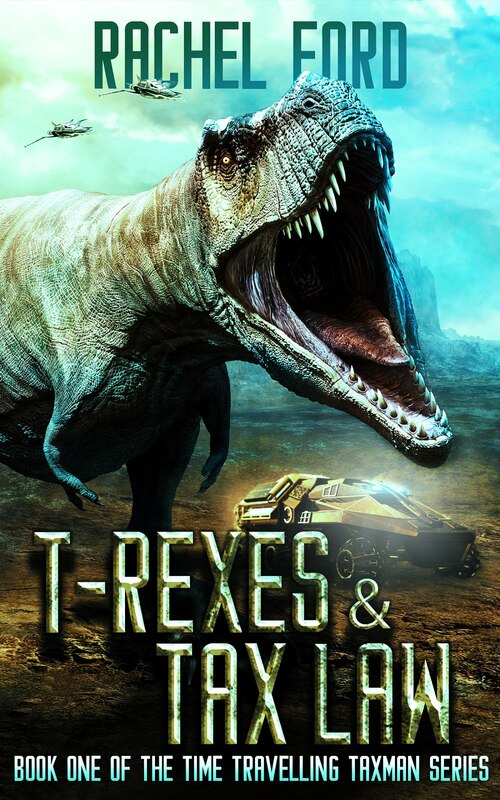 Available for pre-order now! Hello world! Welcome to my inaugural author blogpost. 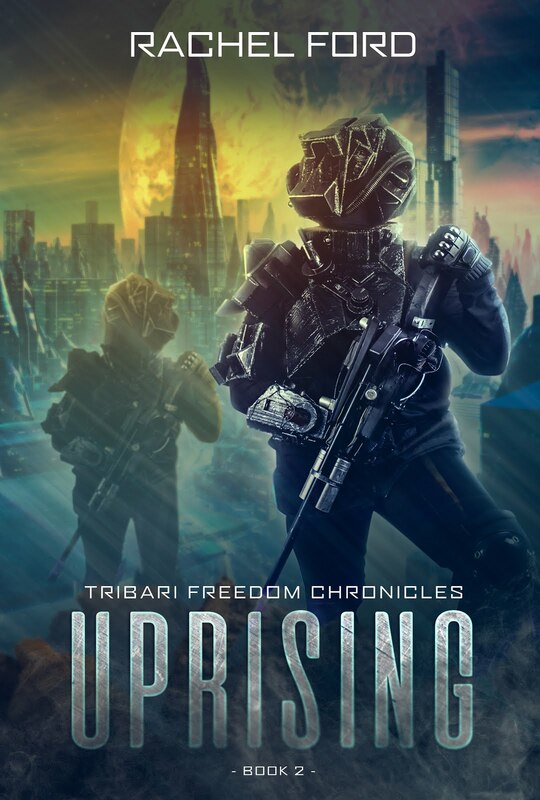 I will have some special announcements up shortly, but for now I'll just mention that I am working on a few projects, both fiction and non-fiction. 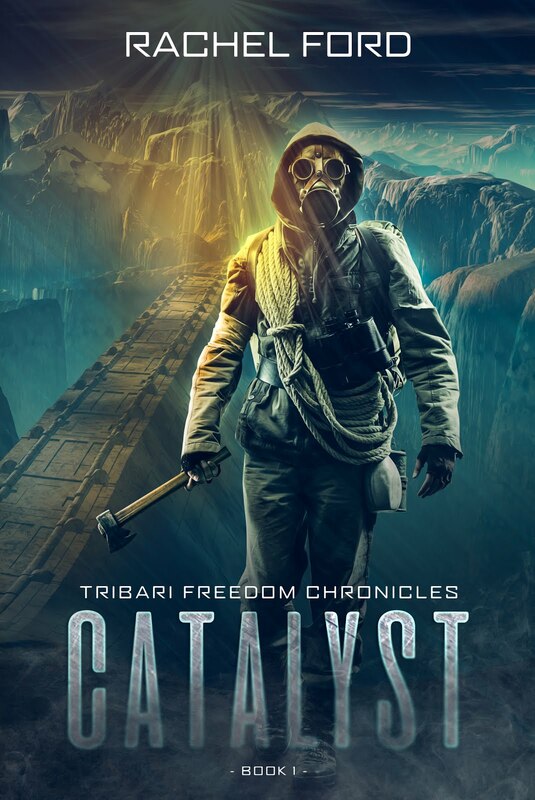 I will be releasing news about one of the fiction projects shortly. Stay tuned! 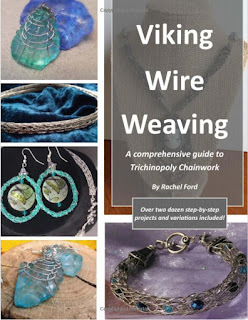 In the meantime, if you're interested in picking up an insanely addictive craft, check out my book on Viking Wire Weaving.